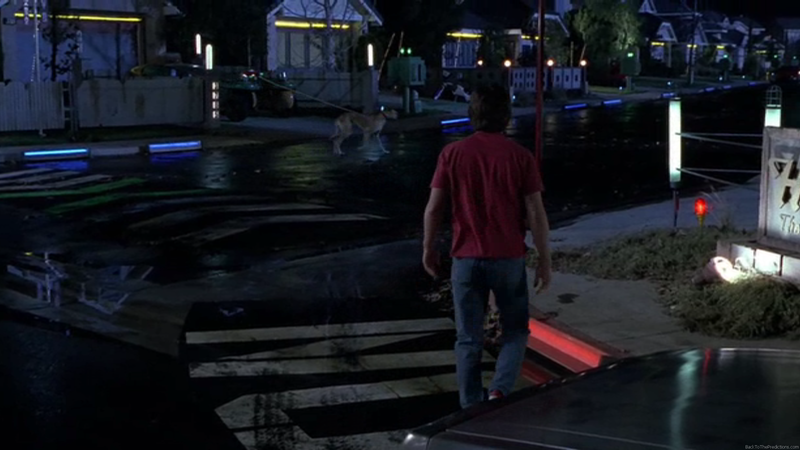 After Marty changes back into his 1985 clothes, he steps out of the DeLorean and notices a dog being walked down the street, but it isn’t being walked by a person…it’s being walked by a floating drone. 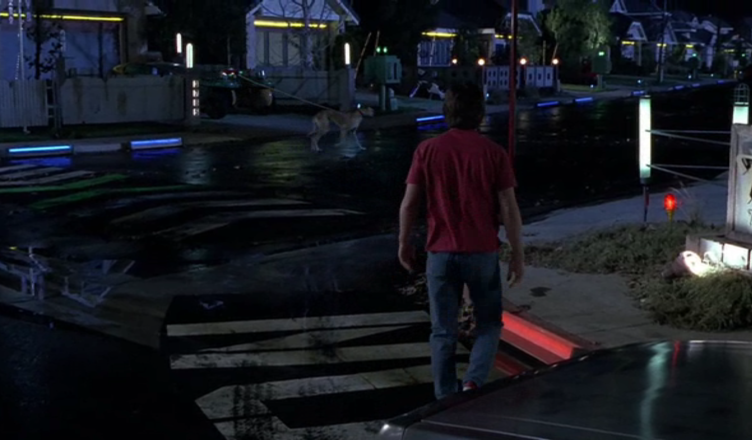 The drone seen in Back to the Future Part II was likely using the same hovering technology used in the flying cars and hoverboards seen all over Hill Valley. The hover technology must be fairly powerful in order to be able to walk the dog without letting the dog drag the drone wherever it wanted to go. Someone could conceivably build a dog walking drone using a quadcopter, but it would not be strong enough to prevent the dog from running off. The noise would also scare most dogs. For now, you’ll still have to walk your dog yourself.